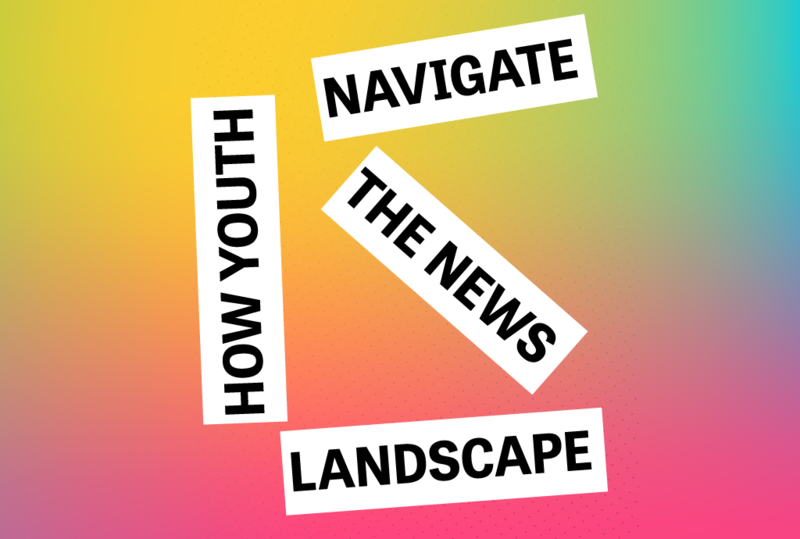 Yesterday, the New York research institute Data & Society released the report How Youth Navigate the News Landscape (download) that explores how young people use mobile devices, messaging apps, and social media to consume breaking news. Co-authors Mary Madden, Amanda Lenhart, and Claire Fontaine find that American teens and young adults express low levels of trust in the news media and use a variety of strategies to confirm, verify, and clarify the stories they care about. The report, which was supported by the John S. and James L. Knight Foundation, is based on findings from six exploratory focus groups with 52 teenagers and young adults in three U.S. cities: Philadelphia, Chicago, and Charlotte, North Carolina. “Teens and young adults are on the front lines of navigating an incredibly complex information environment,” says Mary Madden, a researcher at Data & Society and one of the authors of the report. “Long-held assumptions about the patterns and rhythms of news consumption are being upended by a generation that largely experiences journalism through mobile apps and algorithm-controlled social media platforms. News is frequently encountered by accident, as young people dip into flows of news across various platforms. Patterns of verification and discernment in confirming trustworthy sources vary among teens and young adults. Certain behaviors—such as taking screenshots of news stories to share them with friends—may elude current tools to record and track traffic to news platforms. Lack of trust and perceived bias in the news was an important theme across all focus groups. On social media, youth are regularly exposed to a range of news content of varying quality that they must learn to assess both independently and collectively. In this environment, many young people assume a great deal of personal responsibility for educating themselves and actively seeking out opposing viewpoints. The report provides insights for journalists and other organizations looking to engage younger audiences in the growing mobile news ecosystem. The report follows on an earlier study by Knight Foundation and Nielsen in 2016, which looked at trends in news consumption on mobile devices.